(0 Customer Reviews) | Write Review 6 issues per year Discover Western Canada’s cottage magazine. In every issue you’ll get practical advice, answers to your cottage questions, cottage design ideas, along with innovative cabin plans, easy cottage recipes. Read great stories with inspirational photo essays on special west coast cabins, cottages and chalets, and the people who love and take care of them. Lake of Dreams. A cottage oasis north of Whistler. How to choose the right paddle. Could a hillside lift help you? A guide to cabin security cams. LOL! Crazy underwater dogs. Discover Western Canada’s cottage magazine. In every issue you’ll get practical advice, answers to your cottage questions, cottage design ideas, along with innovative cabin plans, easy cottage recipes. Read great stories with inspirational photo essays on special west coast cabins, cottages and chalets, and the people who love and take care of them. 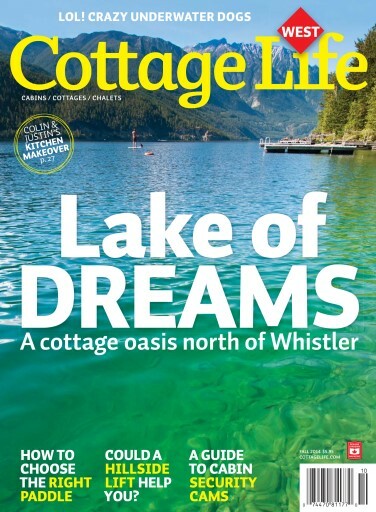 You'll receive 6 issues during a 1 year Cottage Life West magazine subscription. 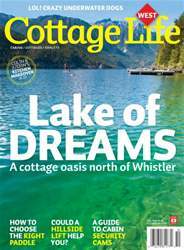 You'll receive 6 issues during a 1 year Cottage Life West magazine print subscription.